Console sales are declining, but Xbox Live memberships have seen a healthy boost. Microsoft's latest financial report offers an update for those keeping track of the now-waning console war: Over 70 million Xbox 360s have now been sold, worldwide. But despite this huge figure, sales of the aging console are definitely falling. The company revealed that approximately 1.7 million consoles were sold between July and September of this year, marking a 600,000-unit decline from the same period in 2011. By comparison, the latest figures from Sony and Nintendo show the PlayStation 3 at just over 63 million units sold, and the Wii standing atop the heap with over 96 million console sales. In addition to hardware sales statistics, Microsoft showed a 15 percent increase in Xbox Live memberships from the previous quarter. The company noted that dipping console sales were offset partly by increased revenue from its Live subscriptions. The Xbox 360 is approaching its 7th birthday, making it a bit of an old man in terms of typical console lifespans. 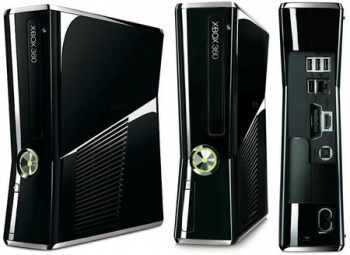 As Microsoft's second console offering, the Xbox 360 has greatly outperformed its predecessor, which had sold less than 25 million units when last reported. Still, it's clear that the current console generation is in its twilight years, as gamers cling to every mention of new hardware from the big three.